A few bits and bobs for sale! liztregenza@hotmail.com if you are interested in anything for sale here! 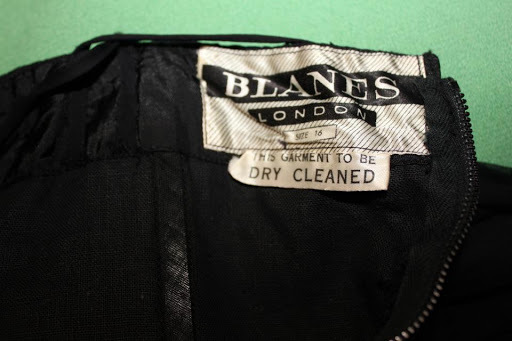 Vintage late 50s dress by Blanes. Chiffon type fabric. Beautiful pleated bodice. Very good condition apart from one bone missing from the bodice and a small repair to the skirt which is lost in the folds of fabric. Marked as a size 16- more like an 8-10! A real show stopper- perfect for a New years party! 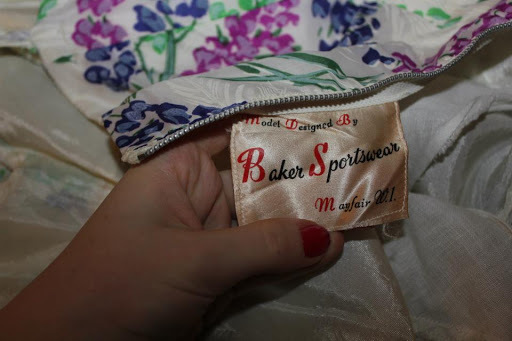 Fabulous Baker Sportswear dress- This is a Maureen Baker design (she designed Princess Anne’s wedding dress don’t you know!) Brand was part of the Susan Small family. 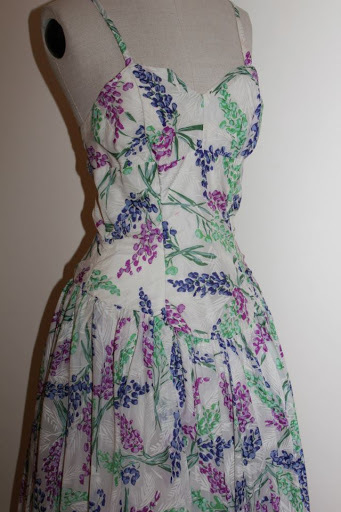 This is a relatively early nylon dress- probably early 50s covered in the most wonderful floral print! Condition: A few minor marks, overall very good. Stunning gold brocade long wiggle dress. Superbly elegant number. 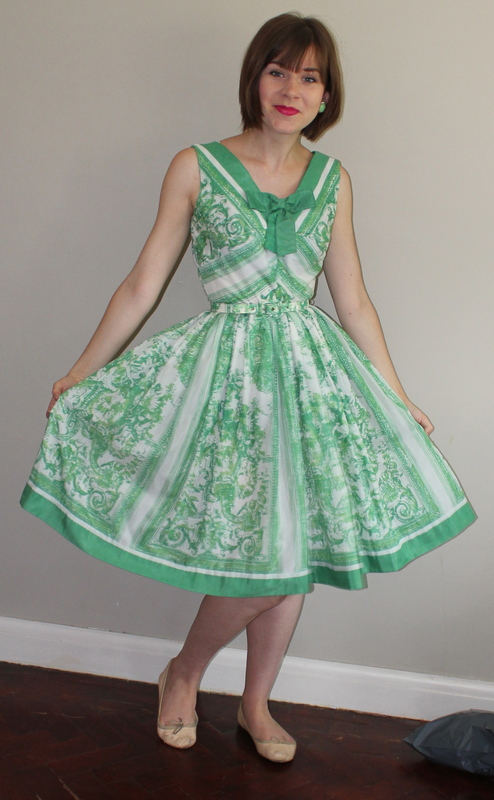 Probably early 60s, with matching little round necked jacket. 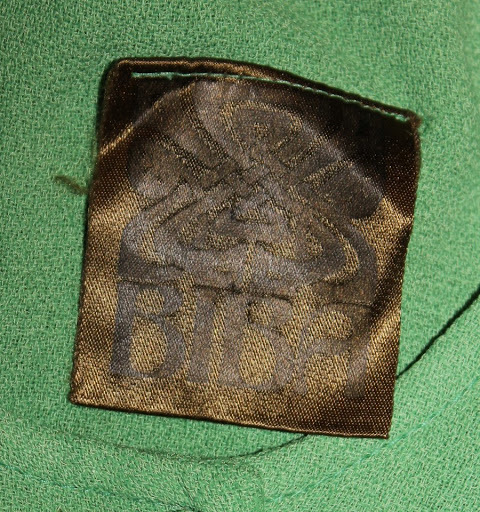 One of the best early 70s Biba dresses, made from apple green moss crepe. 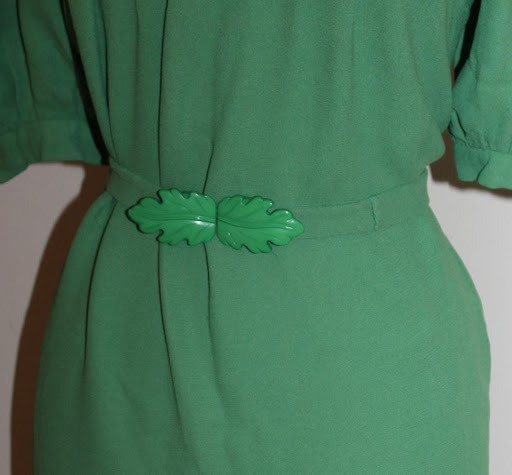 Accented by THE best leaf belt. 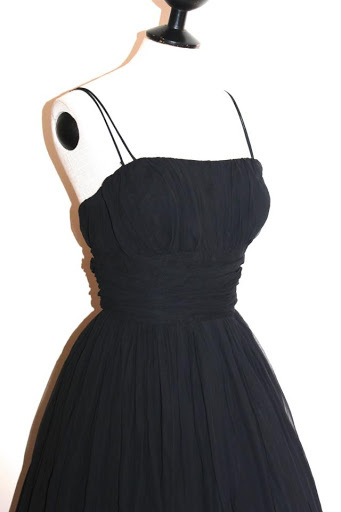 The dress has a real 40s style to it. Due to the belt this can be pulled in and made smaller roughly suited to a size 12 or a 10 when tightly belted. Condition: Very good. One tiny hole near the hem, a few small pulls and the hem requires re-stitching, but nothing to major! 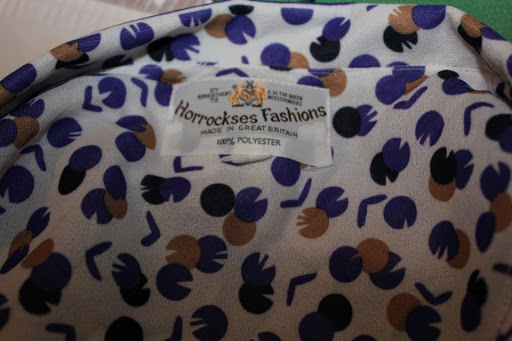 Great 70s Horrockses fashions tea dress. Amazing atomic print. Made from polyester, with matching belt. Roughly suited to a size 12 or perhaps a 14. 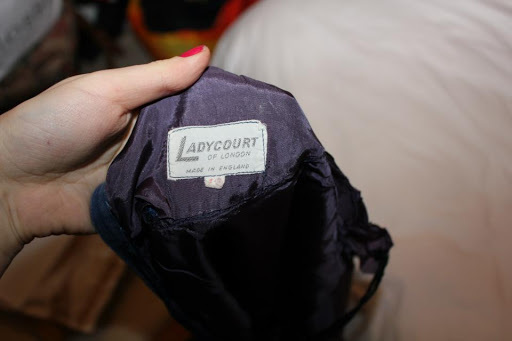 Fab petrol blue 60s wiggle dress with a gentle sheen by Ladycourt London. 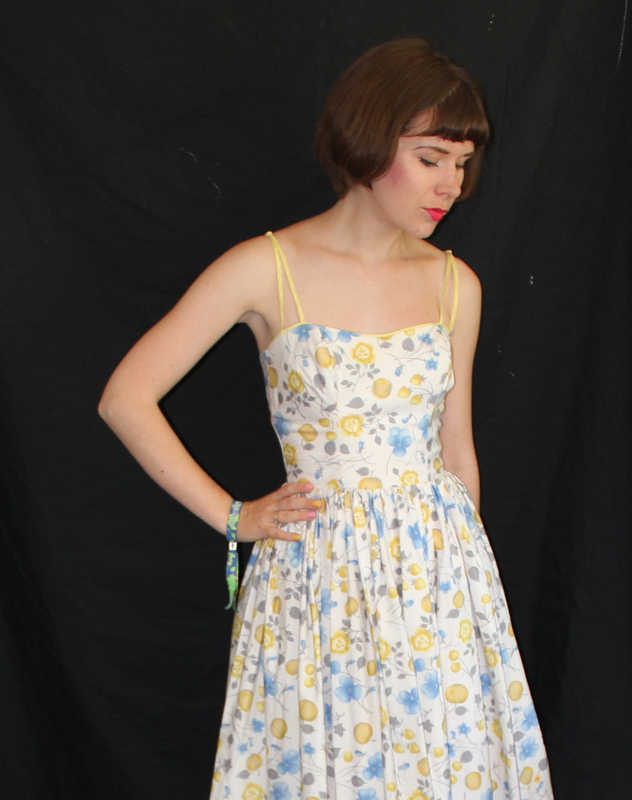 An absolutely fab party dress! 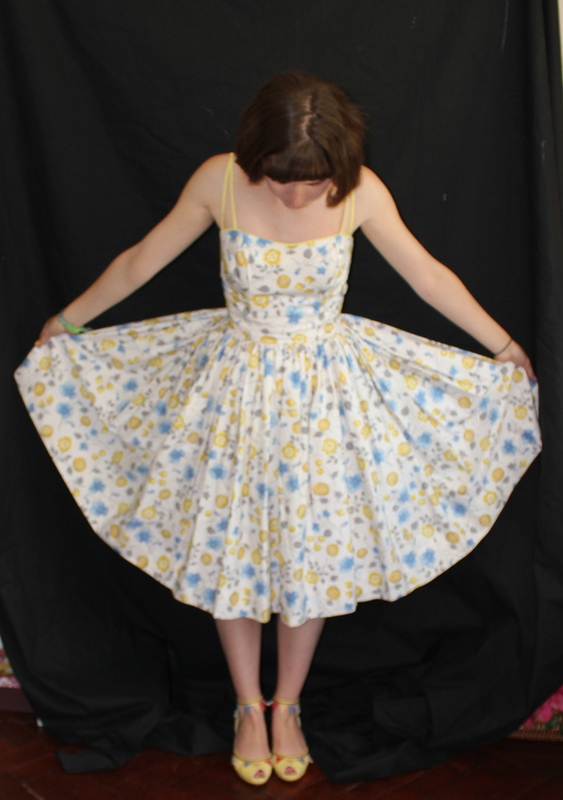 Condition: Two small areas at the hem require re-stitching.